The weather is warm and the water is fine. 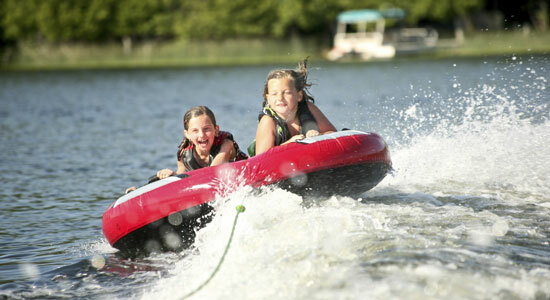 What better way to spend your time on the water than with an inflatable tube and a bit of fun? Read the Directions – This may seem like a no-brainer, but you'd be surprised at how many tubers leave the dock without ever reading the instructions. Inflatables will have certain limits, including weight, size, number of passengers, and air inflation requirements. Know your tube's specs, so you stay safe. Choose the Right Rope – The tube is only part of what you need for a successful afternoon on the lake. Choosing the right towrope is extremely important. Along with reading the directions, make sure you attach your rope to the appropriate point on the tube. Remind your riders to never grab or touch the towrope or they could get seriously injured when it's pulled taut. Use Caution – Know your riders. Don't assume that one speed fits all. Some riders will be more comfortable with faster speeds than others. Remember to always err on the side of caution with new riders, so they can get the feel for the tube. Make sure they're comfortable and having fun. 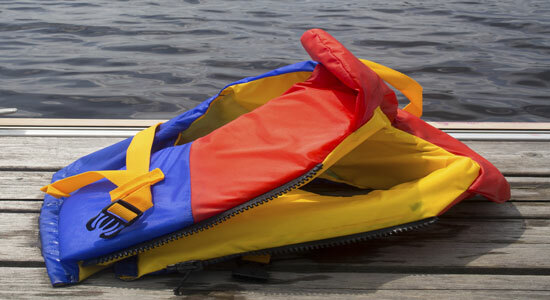 Require Lifejackets – This is a must for all tubers. Wearing a lifejacket or personal floatation device (PFD) will keep your riders afloat while you circle back to pick them up. On the chance that riders hurt themselves, PFDs could save their lives. Always Have a Spotter – Make sure someone is sitting near the rear of the boat and calling out to the driver. This creates a flow of communication from the riders through the spotter to the driver. The driver should always be paying attention to where he's going and other possible watercraft in the area. Stay Sober and Safe – Tubing is great recreational activity, but it doesn't mix with alcohol – especially if you're the boat's driver. Save the libations for another time, so you and your crew can enjoy your time on the water. In Pennsylvania, the warm weather seems to disappear just as fast as it shows up. Whether you're bicycling, going on vacation, or enjoying your time in a kayak or boat, be sure to stay safe and follow the laws. As always, if you need legal help after an accident injury, our law firm is ready to help. It's always free to speak with us, and there's never a fee unless we get money for you.